Used for the extraction of industrial cooker hoods for duties up to 9000m3/h. 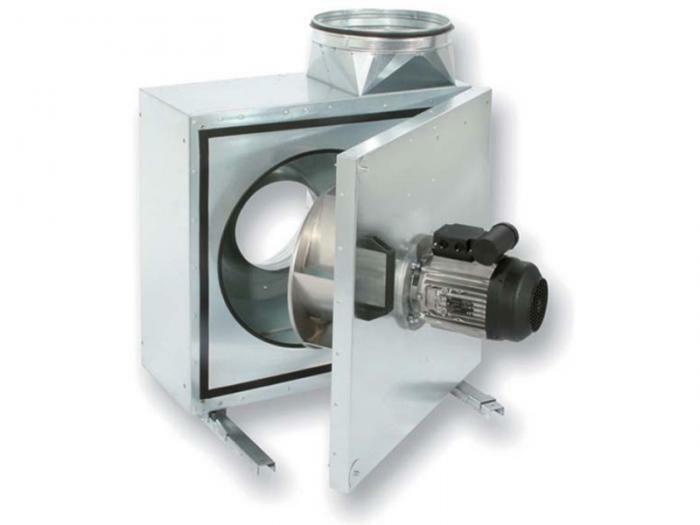 Double skin housing with 40mm mineral wool and wide-opening door for easy access for cleaning. Supply: 230Vac 1ph, 400Vac 3ph for Mk.400 D4. Motor with overheat protection en speed controllable. Insulation class F – Protection class IP55.